Samsung has launched its flagship smartphone for this year, and certainly rumors will lead to the next flagship. In July and then came the device with the model number SM-G9650 in Geekbench is expected to be the Galaxy S9. Now a new device with the SM-G9665F model number appears in Geekbench which is suspected to be the Galaxy S9 +. The rise of Galaxy S9 + for now is a natural thing, as Samsung is expected to release its next flagship smartphone in the first quarter of 2018. 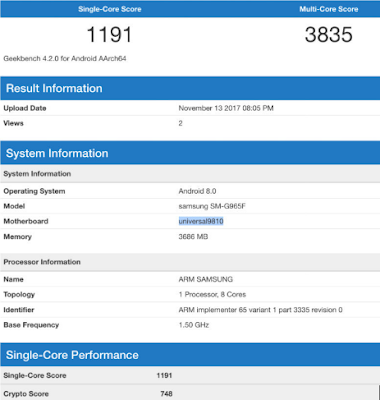 According to Geekbench's list, Samsung SM-G965F runs on Android 8.0 Oreo. This smartphone will also use the chipset "universal9810", which allegedly is the latest Exynos 9810 chipset. Unfortunately this device is still using 4GB of RAM, which, if combined with the latest chipset and Android 8.0 Oreo, Galaxy S9 + able to score 1191 for single-core test and 3835 for multi-core tests. Galaxy S8 and Galaxy S8 + last year slid with two types of chipsets, the Snapdragon 835 and Exynos 8895, both of which both carry 4GB of RAM. This could indicate if the Galaxy S9 and Galaxy S9 + will be present with Snapdragon 845 and Exynos 9810 combined with 4GB of RAM. There is likely to be a higher variant with 6GB of RAM for certain markets such as China or South Korea. 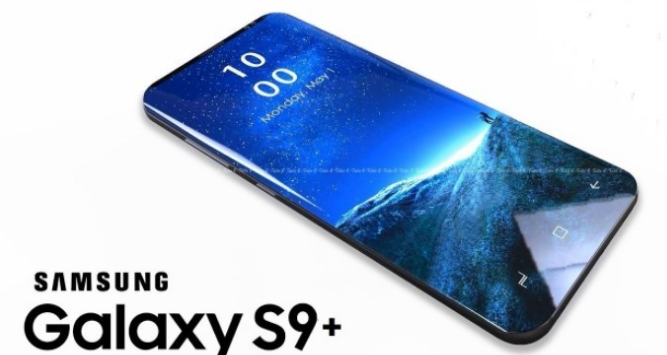 Because the Galaxy S9 duo is rumored to be launching in the first quarter of 2018, it can be expected if they will release both of their flagship smartphone ahead of Mobile World Congress (MWC). The event will be held on February 26 to March 1, where it is likely that Samsung will choose February 25 to release both of its flagship smartphone.